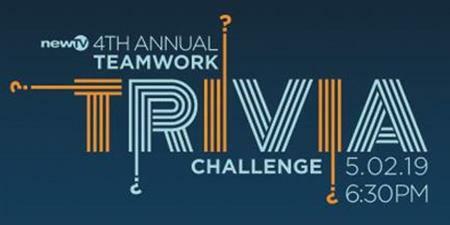 Gather your group and join NewTV for a fun-filled evening of trivia! The event will also include a buffet, a cash bar and a silent auction. Win up to $500 in prizes for your team. Proceeds from the event will benefit NewTV's renowned internship and scholarship programs, which enable qualified students to pursue successful careers in television production and broadcast journalism. CLICK HERE for more details, individual tickets, table reservations or table sponsor information.